This event introduces Straschek as a vital filmmaker and important chronicler of the persecution of filmmakers under the Nazis, as well as the turmoil of escape and living in exile. 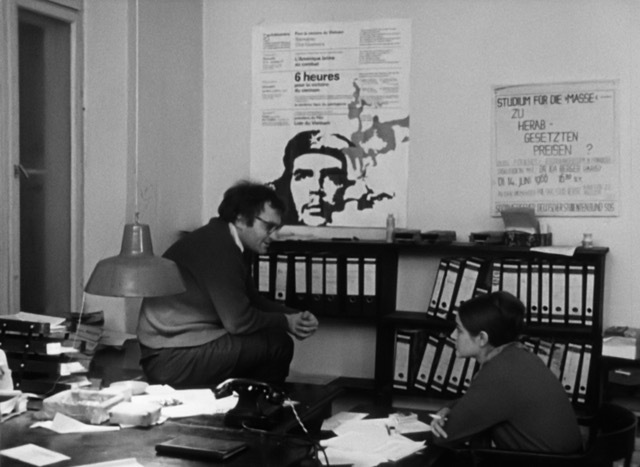 In collaboration with the Goethe-Institut, the Essay Film Festival renews its focus on the Austrian director and historian Günter Peter Straschek (1942–2009). After screening the first part of his series Filmemigration aus Nazideutschland (1975), in conversation with Werner Dütsch, as part of programme ‘Thinking Cinema on Television: Westdeutscher Rundfunk (WDR), ca. 1975’, the Essay Film Festival will present all five parts of this seminal television production in a one day session divided between Birkeck (am) and the Goethe-Institut (pm) on 1 April 2019. Shown in its entirety for the first time in the UK, we are screening Straschek’s astonishing five-part film-historical series, Filmemigration aus Nazideutschland, about film personnel working in the German film industry who were forced into exile during the Nazi period.Parts 1-3 will be screened and discussed at Birkbeck Cinema in the daytime, while parts 4 and 5 will be shown at the Goethe-Institut in the evening, starting at 7pm. Based on extensive interviews, shot on 16mm in a series of static long takes, Filmemigration aus Nazideutschland, is one of the most fascinating examples of ‘film history on film’ ever produced. 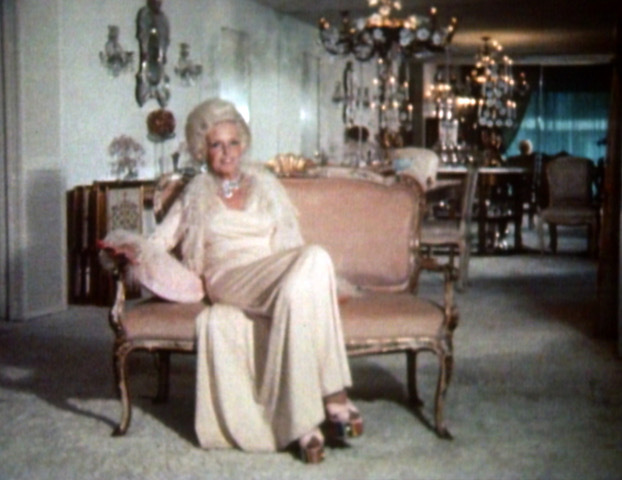 Straschek devoted years to researching the topic and accumulating both film and non-film materials. 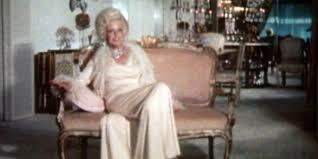 Apart from some radio features and articles, however, this 290-minute TV programme remains the only published trace of Straschek’s lifelong work on the emigration of film personnel. He had intended to publish a three-volume book, encompassing all available data about 3,000 emigrants originating from the centre and peripheries of film production, but the book never materialised. Filmemigration aus Nazideutschland (Film Emigration from Nazi Germany). Dir. Günter Peter Straschek, Germany, 1975, digital (originally 16mm), 290 min. (5 x 58min). German with English subtitles. Broadcast by Westdeutcher Rundfunk (WDR). Günter Peter Straschek: Filmemigration aus Nazideutschland, Teil 1, „Wer klug war, ging schnell raus“ (‘Who was smart got out quick’), 11 November 1975. Günter Peter Straschek: Filmemigration aus Nazideutschland, Teil 2, „Wir waren aufgescheucht und vogelfrei “ (‘We were startled and outlawed’), 18 November 1975. 14:15-14:45. 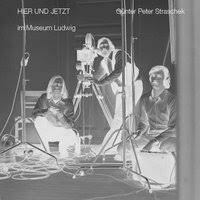 Illustrated lecture, with Dr. Julia Friedrich on curating, HIER UND JETZT/HERE AND NOW at the Museum Ludwig: Günter Peter Straschek. 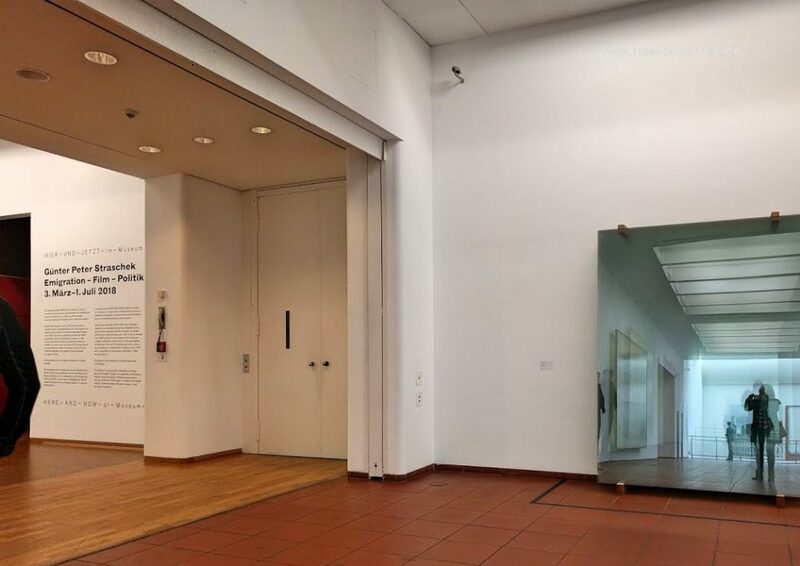 Emigration–Film–Politics, at Museum Ludwig, Köln (March-July) 2018. Günter Peter Straschek: Filmemigration aus Nazideutschland, Teil 3, „Aus Europa draußen und in einer gewissen Sicherheit“ (‘Out of Europe and a certain safety’), 25 November 1975. 16:15-17:00. Response from Dr. Michael Temple (Birkbeck, Director of BIMI), making film history using audio-visual material and archives, and in conversation with Julia Friedrich. 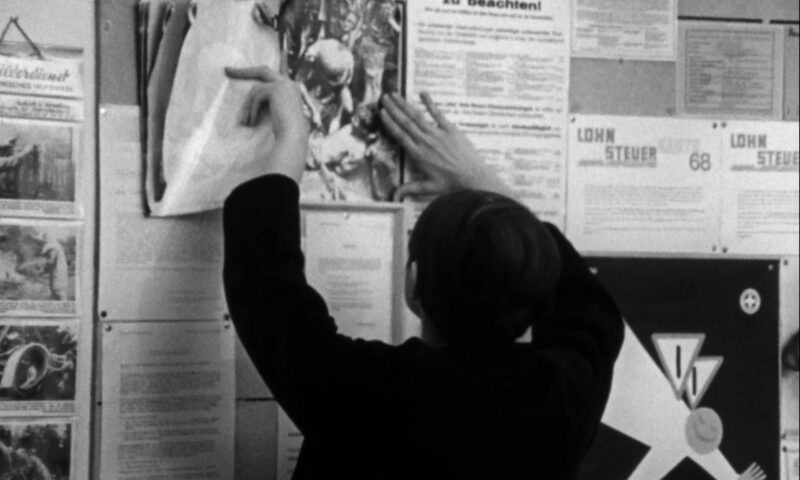 Günter Peter Straschek: Filmemigration aus Nazideutschland, Teil 4, „Unter Palmen und blauem Himmel“ (‘Under palm trees and blue sky’), 2 December 1975. Günter Peter Straschek: Filmemigration aus Nazideutschland, Teil 5, „Man wußte ja nie, wem man die Hand geben konnte“ (‘You never knew who you could shake hands with’), 9 December 1975. 21:15 with a response from Julia Friedrich and Q&A. We are taking this opportunity to launch the first TV Essay dossier in Critical Studies in Television, which starts with WDR and includes an essay by Werner Dutsch. Available at : TV Dossier, 1: The case of Westdeutcher Rundfunk (WDR), ed. Volker Pantenburg, Critical Studies in Television, 14 (1) Spring 2019: 106-138. In collaboration with Goethe Institute, London. With support from Austrian Cultural Forum, London.